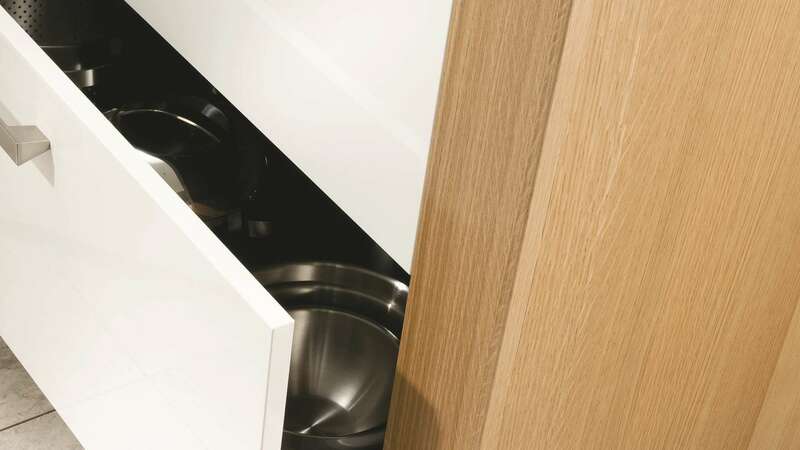 The luxurious light oak Tavola kitchen instantly appears fresh, bright and airy. 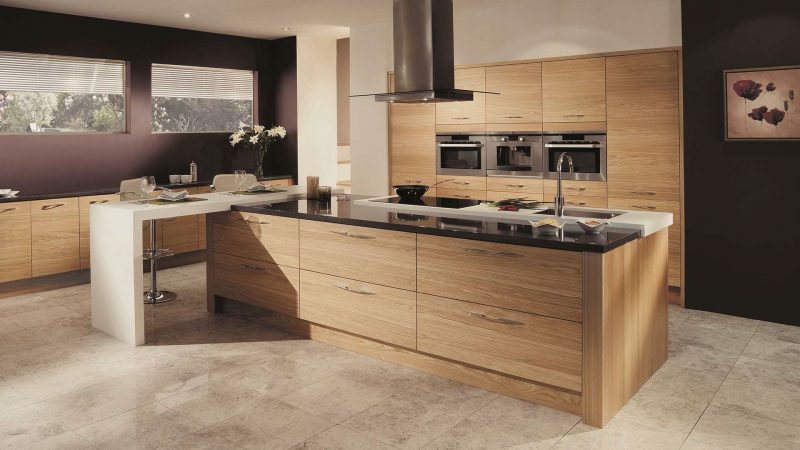 The light oak is used here, rather than the darker regular oak, which greatly transforms the look. 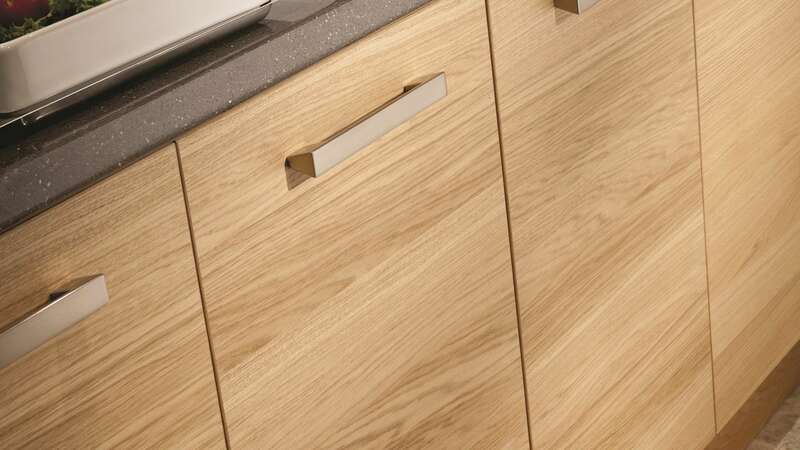 The doors have solid timber edges and light oak veneer. 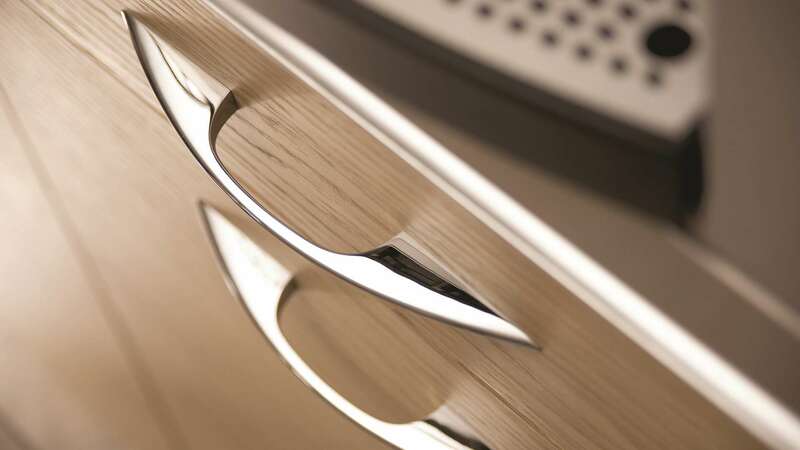 The horizontal grain design is rich and attractive.